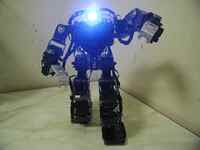 REC-Design put a new multi-legged robot flame kit series HP-25S on the market. Robot shop, Technologia also put `Multi-Legged Robot Kit` (just flame H25-63N) and `Multi-Legged Robot Kit EXOS Dedut Set` including H25-63N(flame kit), RCB-4HV(control board), 18 KRS-2542HVs(servomotor) and controller. The price are 53,000 yen and 140,000 yen excluding tax. The new multi-legged robot can use KRS-2500 series of KONDO KAGAKU CO. LTD.
Multi-legged robot has been being miner robot compared with biped robot in Japan. Just G-DOG , a kit of 4-legged robot, was on the market from HIP JAPAN in July 2008. 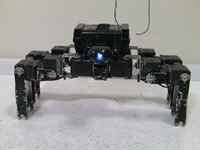 KONDO KAGAKU CO. LTD also put Multi-legged robot such as Turtle Robot 02, KMR-M6 and KMR-M4. 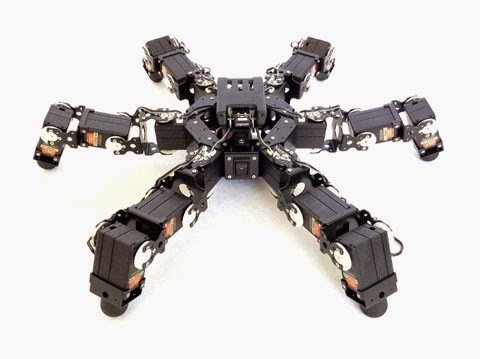 Robot builders who has been making custom-built biped robot are interested in making multi-legged robot. More than 20 times of Robot Survival Game with multi-legged robots were carried out in Tokyo.